Designed to be the best Football jig on the market. 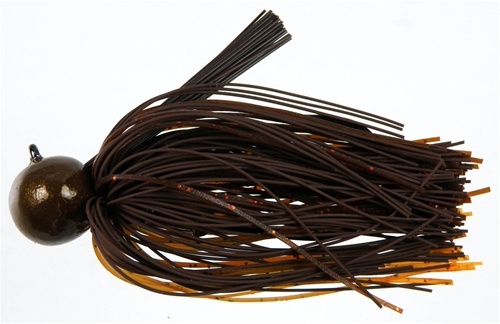 These jigs are made from Top quality Materials, featuring a chip resistant hand painted head. They also feature a premium Gamakatsu Hook and a perfect weed guard - stiff enough to come through brush and trees and soft enough to allow for solid hooksets. Designed by West Coast Angler Cody Meyer.